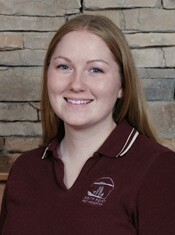 Amanda completed her Veterinary Assistant program at Granville College and completed her practicum with us. She continues to work Sundays with us as she has a full-time position at Trupanion, a pet health insurance company. In August of 2015, Amanda celebrated her 10 year anniversary with us at South Point! Amanda previously worked at Canada West Veterinary Specialists and brings a wealth of knowledge and experience to our team. Alyssa graduated with honours from the Veterinary Assistant program at Granville College in 2013. She started working at South Point a few months later and enjoys working with all the different animals that come to the clinic (especially the cats!). Alyssa is now with us part-time and is always excited to get some quality pet cuddles on the days she is here. Kyla began working at South Point Pet Hospital in September 2016 after completing her practicum with us through the Douglas College Veterinary Assistant program. Her favourite animals to work with are chihuahuas! She also has 2 chihuahuas at home along with 2 cats. She enjoys assisting with surgeries and checking in with clients to see how their pets are doing as well as reminding clients about any check ups that are due, to ensure all pets get the care they need!